Every computer needs to be protected from the different kinds of viruses, Trojans, attacks as well as other programs and applications, which can damage your gadget as well as programs and files, located there. Nowadays there are numerous applications, which can handle the safety and security of the PC. Zone Alarm Pro Antivirus + Firewall 2016 is one of the greatest creations of standalone Windows firewall software, which helps to stop the threats and clean up the computer from different viruses and attacks. One of the biggest advantages of Zone Alarm Pro Antivirus + Firewall 2016 is that it can easily cooperate with the other antivirus software as well as programs from other vendors. The product is licensed by Kaspersky, but it is considered being a kind of light version of Kaspersky antivirus. Some of the highly professional features are not available in this particular application. Zone Alarm Pro Antivirus + Firewall 2016 is a comfortable and easy-to-use utility to help any user in protection from viruses, spyware, keyloggers, etc. 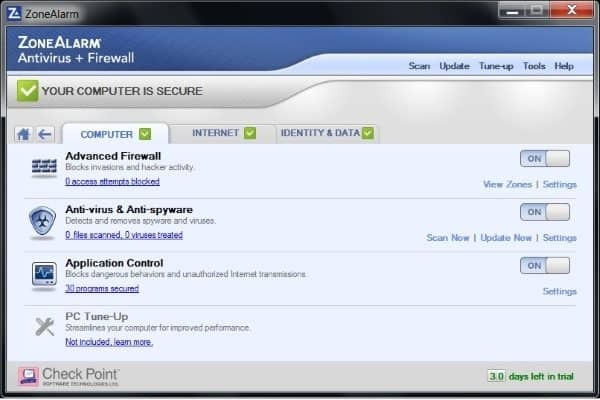 Zone Alarm Pro Antivirus + Firewall 2016 is considered being a particular combination of functionality and tools as well as the easy-to-use interface that makes it an excellent choice for those looking for the computer security. Some instruments help to protect the computer as well as the browser from the potential threats. Zone Alarm Pro Antivirus + Firewall 2016 is licensed by Kaspersky, which means the adaptation of the global experience and knowledge of the comprehensive engineers into this particular version. You will get a credit monitoring as well as 5GB of hosted backup for your files in any case of the security problems. Simple installation process as well as opportunity to use a trial version for the particular test makes it a desired application for many users. 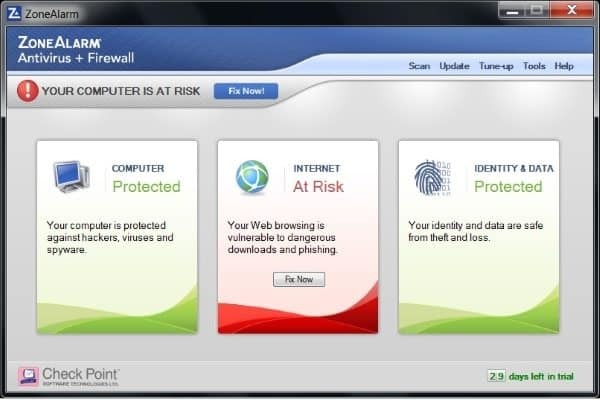 Moreover, having Zone Alarm Pro Antivirus + Firewall 2016 on your personal computer means getting a practical experience not only locally but globally as well by joining the world network of professional users, that share information, and tools for making the security of the personal computer as high as it is possible. Installation of Zone Alarm Pro Antivirus + Firewall 2016 is considered being a straightforward and fast process. When you download the package of files for your installation, you can start setting it up for your OS. Before installation of the Zone Alarm Pro Antivirus + Firewall 2016 you should take care of the uninstallation of the current antivirus or any similar software otherwise, you will experience an OS conflict. 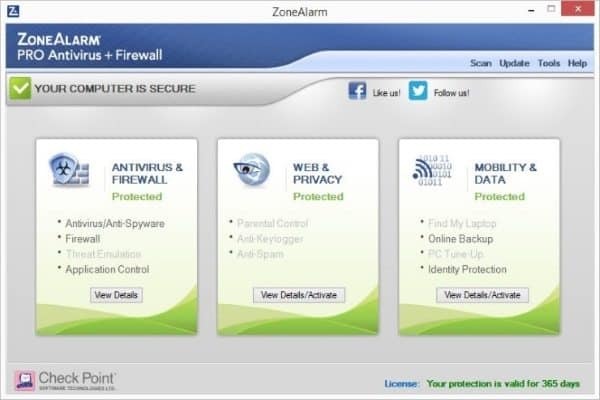 Zone Alarm Pro Antivirus + Firewall 2016 has a broad range of functionality and technological solutions, which help any computer to stay away from viruses and threats from Internet, CDs or any other places. Because of the particular basic settings, an application can quickly identify incoming threats from the programs and files you download from the Internet as well as put away the potential danger of the websites you open in your browser. It does not scan incoming email, but it can check the outgoing email to review the possibility to send antiviruses and threats to the other computer. You can manage Zone Alarm Pro Antivirus + Firewall 2016 to scan any files and programs within the particular frequency. An easy-to-use interface of Zone Alarm Pro Antivirus + Firewall 2016 gives an opportunity to use it by professionals as well as people, who do not have specialized technical knowledge. Besides of that, there are additional instructions and guidelines for those looking for more details and options of the program usage. 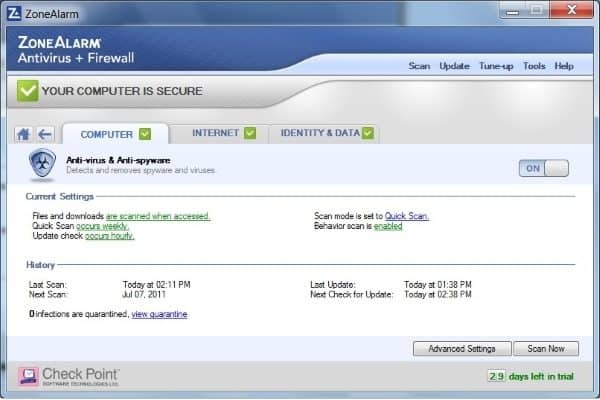 Zone Alarm Pro Antivirus + Firewall 2016 is convenient for using it within your printers, scanners as well as other hardware, which is connected to your personal computer. You can get information about the threats and manage them without opening an additional window of the software. If the virus or another essential threat is coming from your browser, you will get a pop-up notification about the successful identification of the problem and quick solution as well. Moreover, Zone Alarm Pro Antivirus + Firewall 2016 can learn how to make the high security of the personal computer or any other hardware by watching on the user behavior. It can update its files and security lists according to the websites as well as actions, which users do on their computers, pay more attention to the email or particular data on the Internet, which may influence on the machine’s productivity. Antivirus has an opportunity to maintain the backup of your files. 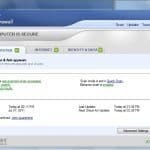 You will get a possibility to backup 5GB of your programs, video or audio as well as other information, which should stay on your computer in case of the threat management. Password protection and constant updates will help you remain calm in situations of the threats. Comprehensive 24/7 support of Zone Alarm Pro Antivirus + Firewall 2016 will help you to answer questions and get more information about the way of using the product for your personal needs.